Yin and Yang Consciousness States of Universe are NOT positive nor negative. There are only negative and positive applications of Yin and Yang states of consciousness within Yin and Yang charged environment. Mindful Being Course: 12 Weeks full of Spiritual Transformation Tools is my newest program that combines meditation, mindfulness exercises, soul’s diary, spiritual diary, relationship contracts, and many other daily spiritual transformation tools to help you live your highest potential. Discover more about yourself and your own physical world examining your relationship towards your body, its nutrition and exercise. Implement easy Feng Shui Tips for a healthier and happier surrounding. 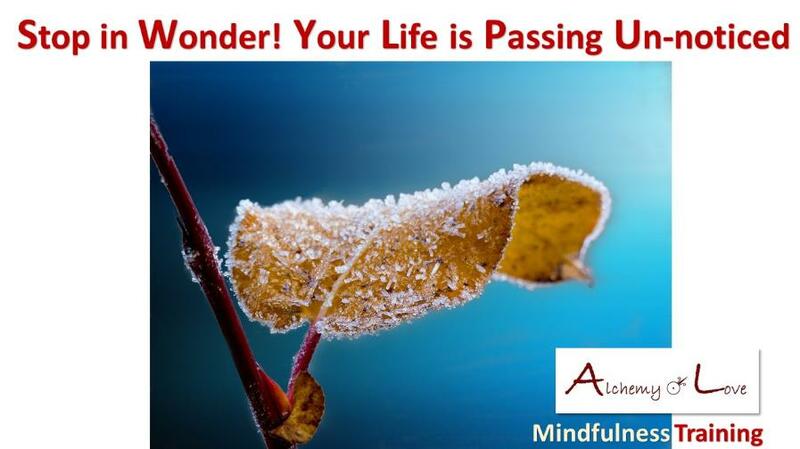 Learn how to make use of the power of your conscious and unconscious mind. Look into your conscious and sub-conscious addictions, identify your strengths and weaknesses. We will help you examine your world of feelings and emotions. Understand and Protect your Feelings, Exercise Awareness, Practice Virtues, Experience Transformation Tools such as: Daily Meditation, Conscious Use of Colours, Enter Your Dream World. Meditation is the simplest and easiest way to access mental and spiritual energies and improve your physical well-being and health… Meditation is also used to improve your concentration and decision-making skills. Your enemy within are your core negative beliefs. Negative beliefs hide from the consciousness and they get exposed by the magic of mindfulness and awareness. Explore Your Core Beliefs, Challenge Existing Beliefs, Start Your Dreams Diary and work on other Mindfulness Exercises. Explore your relationships patterns, introduce changes, learn about true love, Design Your Relationship Plan. Turn away from your dream and it will come back to you. Follow your dream and it will give you a tremendous amount of pleasure and learning. Identify your True Goals and Actions to achieve them… Listen to your Heart and follow your Mind! We examine Spirituality and Spiritual Development across the ages. What is Karma? What is Alchemy? What is Yoga? We examine Spirituality and Spiritual Development in today’s world. 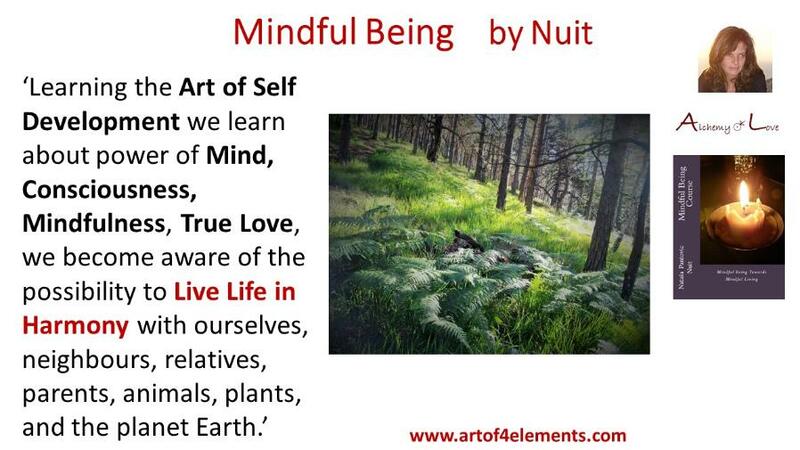 Joanne's Amazon Review Mindful Being: A lovely course filled with wisdom and soul! For more Reviews and Inspiring Articles check the Publisher's Website. 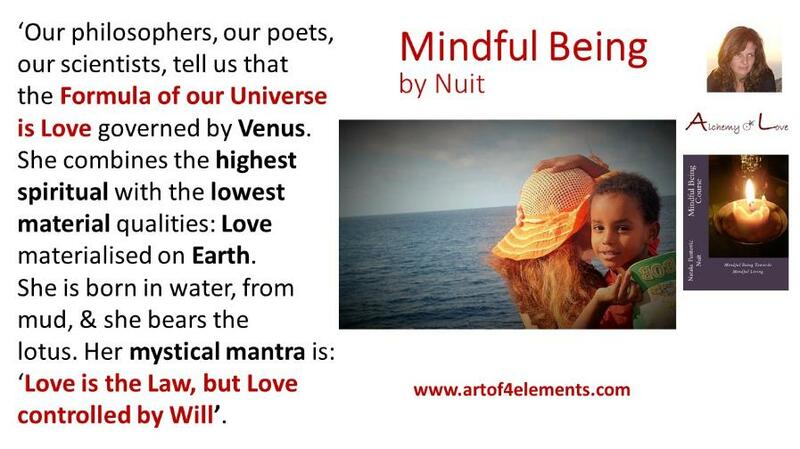 Artof4Elements is a Mindfulness Training and self-help Publisher that designed and launched the Alchemy of Love Mindfulness Training Series. Artof4Elements publishes books, audio, and video materials in areas of Mindfulness, Meditation, Self-Help, New Thought, Alternative Health, Vegetarian and Vegan Food and Nutrition, and Conscious Parenting.